Last year we reviewed Topps UFC Knockout and gave it a perfect score. In two weeks Topps UFC Knockout returns with a new card that should have collectors on the hunt. 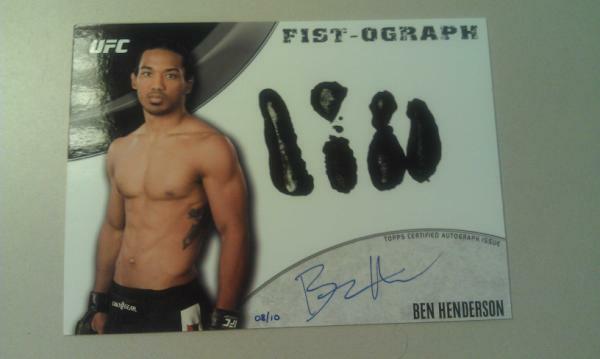 Fist-O-Graphs which feature fighter fist-prints and autographs on a 5 X 7 card will be the new attraction. 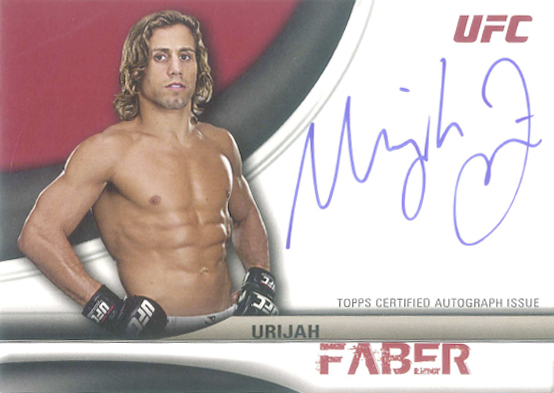 Along with the Fist-O –Graphs, Triple Threads Autographs and Relics, an array of multi-fighter Autographs, including Sick-Sigs with 6 fighter autos will return. 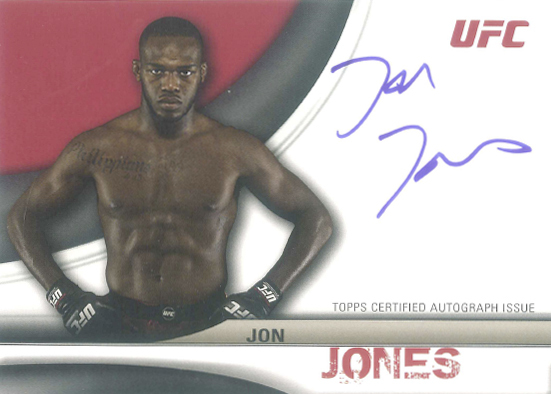 In addition, Topps is including 4 limited edition 2010 uncirculated Full Contact Autographs featuring UFC stars Jon Jones, Urijah Faber, Cain Velasquez and Frankie Edgar. Every pack of Topps UFC Knockout guarantees either an autograph or relic. And each box includes 2 Autographed Relics, 2 Autographs and 4 Relics.